In the wall in this corridor there is also a window, behind which a chemical textile-cleaning plant was formerly located. 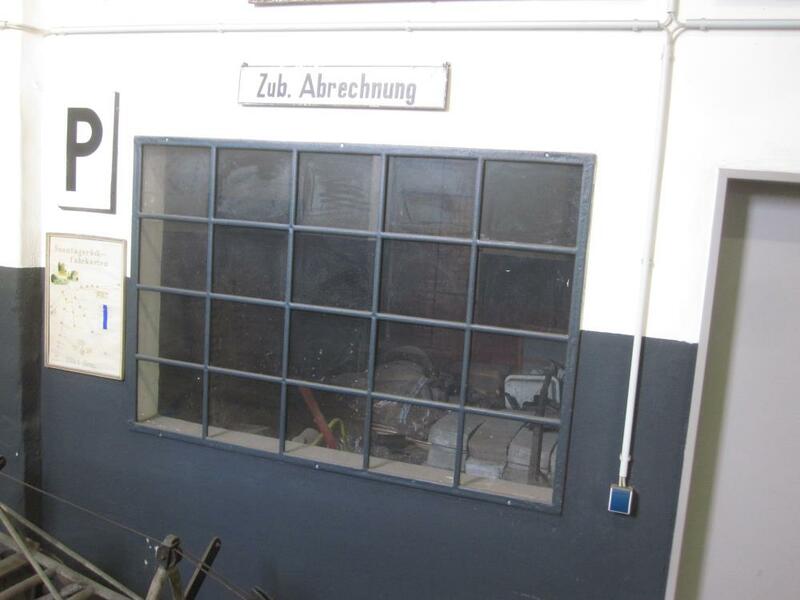 In the Wittenberge region there was no laundry which could have handled the huge quantities of soiled working clothes, so the Deutsche Reichsbahn set up its own cleaning plant here with industrial machines and drying equipment. So that everyone could get "their" clothing back, all garments had small metal tags attached, into which a personal number was stamped. On quoting this number, the garments would be returned to their owners.